Impact Summit Europe is a highly curated institutional investor conference that brings together thought leaders and practitioners in the impact investing space with the aim to catalyse private institutional capital to support the financing of the UN Sustainable Development Goals. This invitation-only event for institutional investors and asset owners is designed to encourage meaningful peer-to-peer dialogue on the challenges and opportunities of integrating impact investments into an institutional portfolio. The unique venue of the Peace Palace in the Hague, The Netherlands only attributes to the quality of the event. Amidst many high quality speakers, the key note this year will be given by Sir Ronald Cohen, a pioneering philanthropist, venture capitalist, private equity investor, and social innovator, who is driving forward the global Impact Revolution. 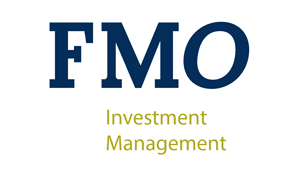 At FMO and FMO Investment Management we are proud to be among the sponsors again. The event will take place from 2 to 3 April 2019 at the Peace Palace, The Hague, The Netherlands.